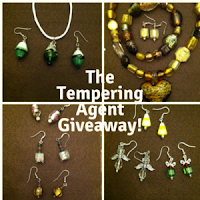 I have a mixed reaction to The Tempering Agent. This is the first Victoria Pitts-Caine book I read, and I enjoyed it enough to want to read the others in this series. The cover captured the essence of the series and the genre, and I was drawn into the story almost immediately. What I wasn’t crazy about – the relationship between Priscilla and Donnie developed too quickly for my taste, and when they were each struggling with whether to pursue the other person, most of what came to mind was memories of kisses and physical attraction. In addition, Priscilla is a British citizen, yet her word usage and mannerisms seem American. The few British references were cliché: greeting each other with “cheerio” and lots of tea drinking. The author seems more comfortable conveying Egyptian and Middle Eastern dialect, mannerisms, and customs and have obviously either done lots of research or had personal experience. Information about archaeology, digs, history, and government oversight is interesting and well-presented, sprinkled throughout rather than dumped onto the reader. The suspense and intrigue steadily increases as the book progresses to the point that I wasn’t sure who to trust, and I began to see “bad guys” in every corner. I loved that! The action sequences are exciting, and kept me reading. Each chapter heading includes information about a gemstone which I found very interesting, but the reference during a conversation to “the tempering agent” felt forced and dropped into the story as if to justify the book’s title. I was given a copy of this book for free from CelebrateLit Publicity, and a favorable review was not required. All opinions expressed are my own. Victoria Pitts Caine is a native Californian and lives in the central portion of the state. 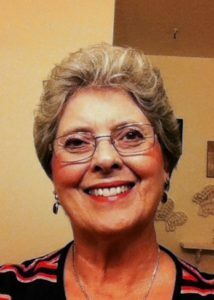 Her varied interests include genealogy and exotic gemstone collecting both of which she’s incorporated into her novels. The author has received recognition in both fiction and nonfiction from: Enduring Romance top 10 picks for 2008, William Saroyan Writing Conference, Byline Magazine, Writer’s Journal Magazine, Holt International Children’s Services Magazine, and The Southern California Genealogical Society. Her first novel was published in 2007 followed by two more as well as novellas and short stories in anthologies. Victoria is a former staff technician in air pollution control. She is the mother of two daughters. Now retired from the work force, Victoria and her husband enjoy travel, cooking, and are self-appointed “foodies”. Since childhood, I have been interested in genealogy and ancient Egypt. Two of my prior novels, Alvarado Gold and Cairo, let me follow my fantasies into those two areas. Donnie the hero in The Tempering Agent is also in the other two books, and it was his turn to find his own romance. 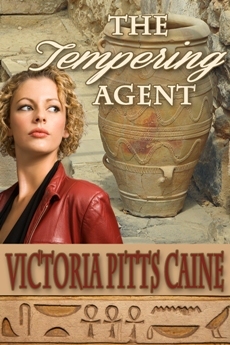 When archaeologist Dr. Priscilla Hackling finds herself drawn back into the murder investigation of her fiancé and the missing breast plate of the high priest, Agent Donnie Barnes, is just the man to help her out, even if she doesn’t think so. Traveling along with Priscilla and Donnie, I discovered some interesting facts about ancient Egypt, from the ruins in the Siwa Desert to the mystery of the Valley of the Kings. The genealogy factor in my novels is Donnie is loosely based on my cousin. Alvarado Gold tells the story of my family while Cairo and The Tempering Agent fueled my inquisitiveness about Egypt. Thank you for having me on your blog and taking the time to review the book. A pleasure to have you. Thanks for stopping by. Thank you for your review. Book looks really good. I enjoyed "The Tempering Agent" very much. I love exotic places.